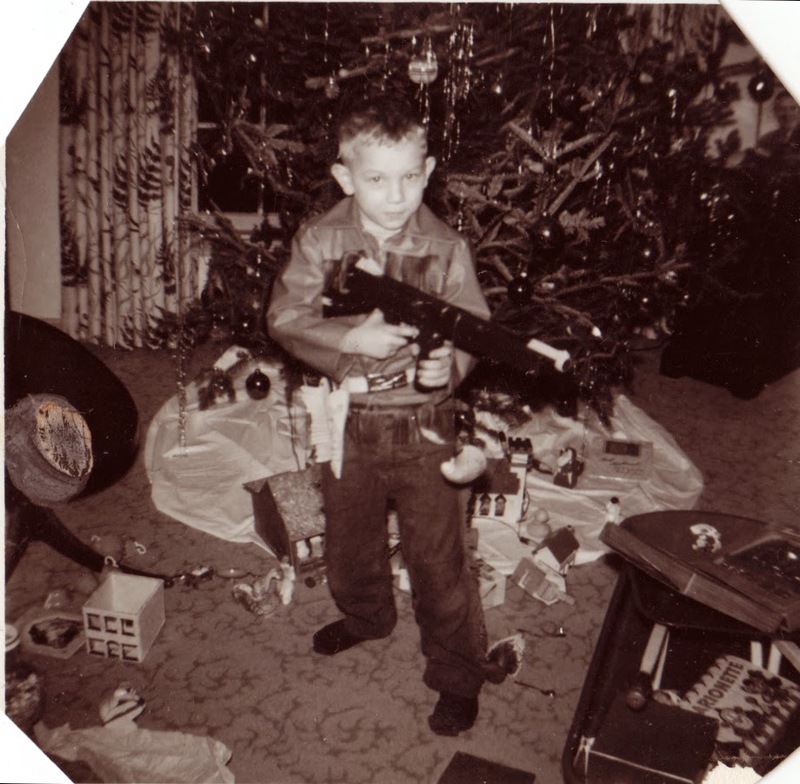 Home(Not So) Wordless Wednesday – "You’ll Shoot Your Eye Out"
(Not So) Wordless Wednesday – "You’ll Shoot Your Eye Out"
Cowboy Chuck Lowry (the only cowboy in the West armed with a Thompson submachine gun) models the latest Christmas gift in front of the tree at the Lowry homestead. Perhaps Ralphie from “A Christmas Story” was created from this photo. It’s wonderful to see the small houses around the tree in this photo. Those were under the my grandfather’s Christmas tree until he passed away in 2007. I believe they are with one of my aunts now. Click to enlarge. Family Collection.